Beautifully executed with so much emotional appeal in the Ad I couldn’t stop myself from crying. Its a three minute add a bit long for me but worth a watch, no wonder it has gone viral. 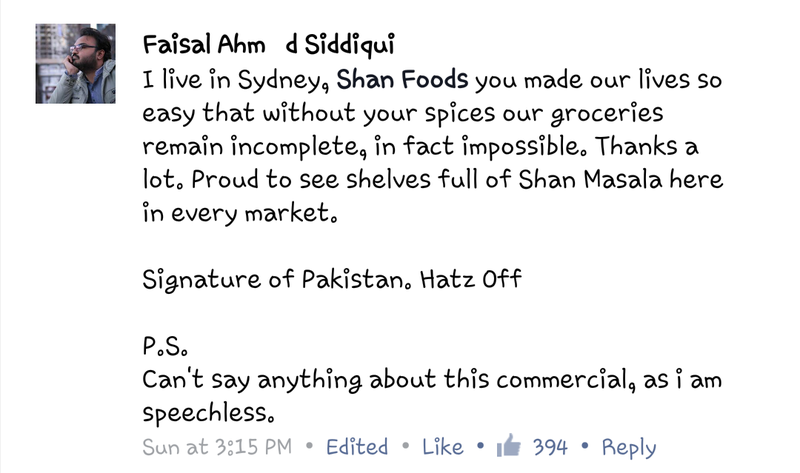 Here is a brand telling a true story in a simplest manner..
Shan You have touched a million hearts with this beautiful add.. I sat today and started reading all the comments and realized people who are far away from home can relate to it more than we do.. 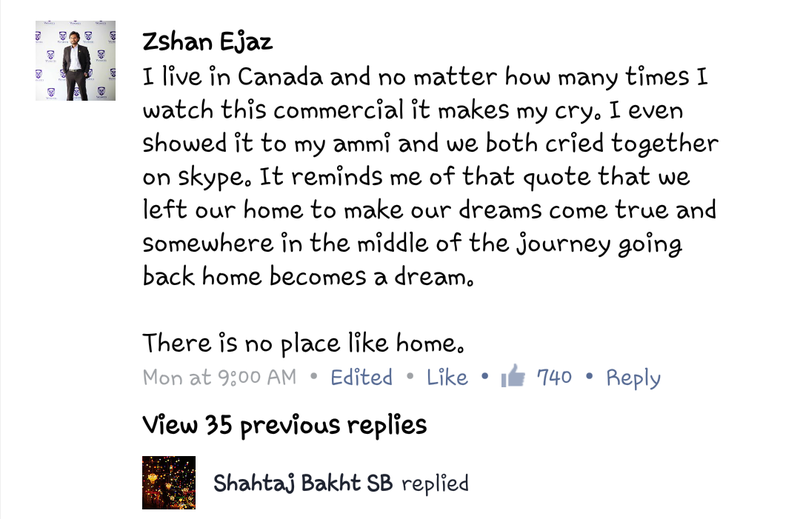 Here are some of the heart touching comments that melted my heart..
For me this AD is a winner..
Have a look a decide for yourself..